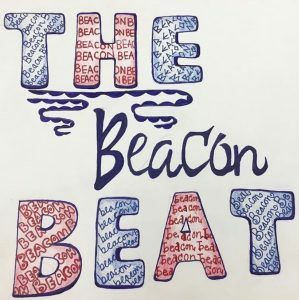 Written by Beacon students, for Beacon students. Singer-songwriter Neil Young recently broke his prolonged political silence by releasing a new live version of his song “Ohio” to advocate for gun control. He rose to fame in the 1960s and 70s as a member of the bands Buffalo Springfield and Crosby, Stills, Nash and Young, and also enjoyed a remarkable solo career. These days, aside from his annual FarmAid concerts to benefit family farmers and the occasional Veteran’s benefit, Young notably does not contribute to many political causes. The five and a half minute video starts with a monologue from Young about his initial inspiration for recording “Ohio,” a protest song written in response to the 1970 Kent State shootings. On May 4, 1970, unarmed Kent State college students were protesting the United States Cambodia Campaign military exercises when the Ohio National Guard fired into the crowd, killing four and injuring nine. Young, then with Crosby, Stills, Nash and Young, rush-released the song, recording it 17 days after the massacre and releasing it the next month. It was a hit, rising to number 1 on the US Billboard Hot 100 charts and leaving a monumental mark on American counterculture in the wake of the Vietnam War. But that was before the midterms. After losing his Malibu home in the recent California wildfires, Young published an essay on his archival site criticizing President Trump for his misplaced blame and climate change denial, stating that “California is vulnerable – not because of poor forest management as DT (our so-called president) would have us think… We are vulnerable because of Climate Change; the extreme weather events and our extended drought is part of it… It really is time for a reckoning with this unfit leader.” With these powerful statements, Young evokes a past era of protest and brings the same counterculture attitude to current times. By mentioning the importance of science, representation in government, and common sense gun reform, he is molding a movement that he helped lead decades ago into the modern era. This may serve as a wake up call to other largely silent cultural leaders of days past that their input is needed if we are to involve and inspire more people to protest immoral and detrimental policies in the present and future. Next Post Barbie, Dora, You, Me, and Us.